Every single time I go to Germany to do my groceries and visit family, I buy way too many things. Maybe I am biased, but I believe that Germnay has a bigger assortiment and more stores, especially in terms of vegan and biological products. So last time I went to Germany, I kinda bought the whole Asian store. Once I got home I realized that I had bought way too many rice paper packages. After a few weeks of making delicious Vietnamese rice paper rolls I had the urge of trying something else with the rice papers because this was I was not able to finish those packages. That is when I thought about alternative ways of using rice paper for savoury dishes. 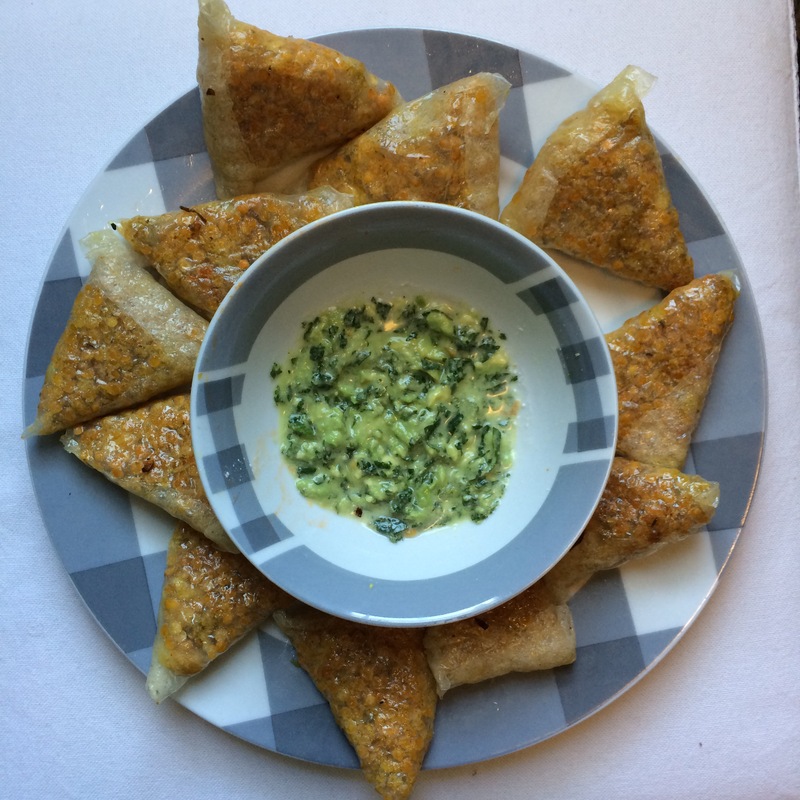 How about making samosas in a glutenfree and vegan way? And the first try was already a success. As usual I am not giving an accurate recipe because I do not work with recipes and I believe that everyone should mix the ingredients they want in the amount they prefer. I am here to guide you, that’s all. First of all boil the lentils in water with a bit of salt, drain and put aside. Fry chopped onions and garlic in oil and add all the spices. 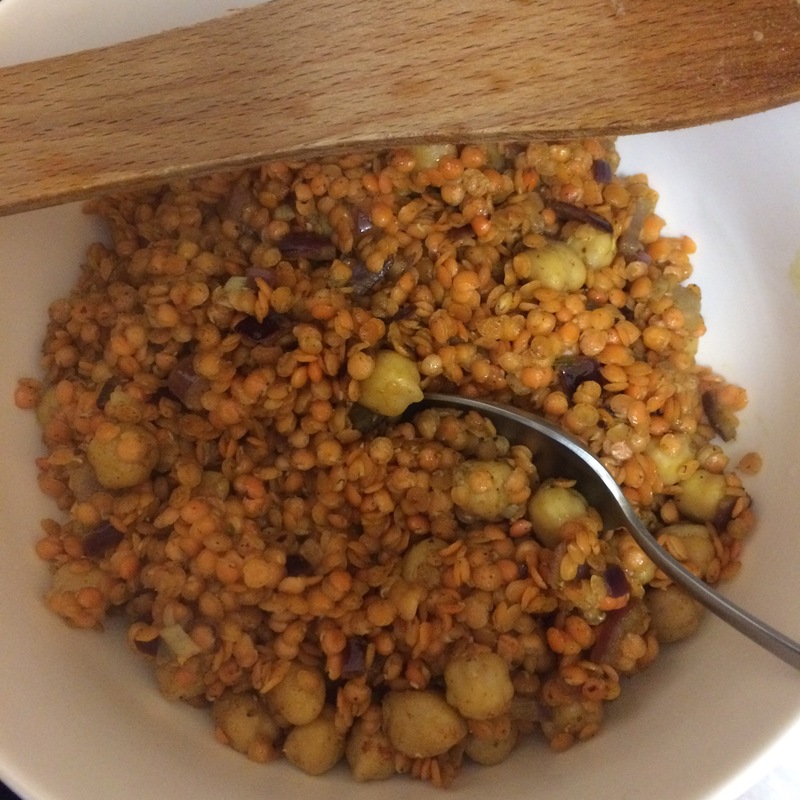 Add the lentils and chickpeas to the pan. 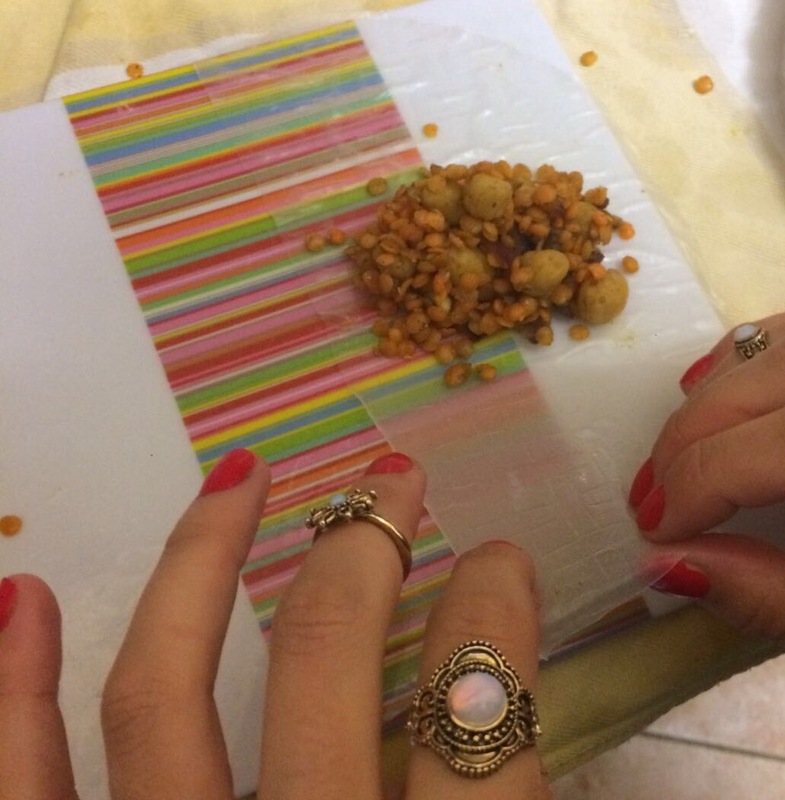 Carefully smash the chickpeas a bit with a wooden spoon. Soften the rice paper in hot water and place on a plate. Cut the round rice paper in half. Fill the rice papers as on the picture and make triangles. 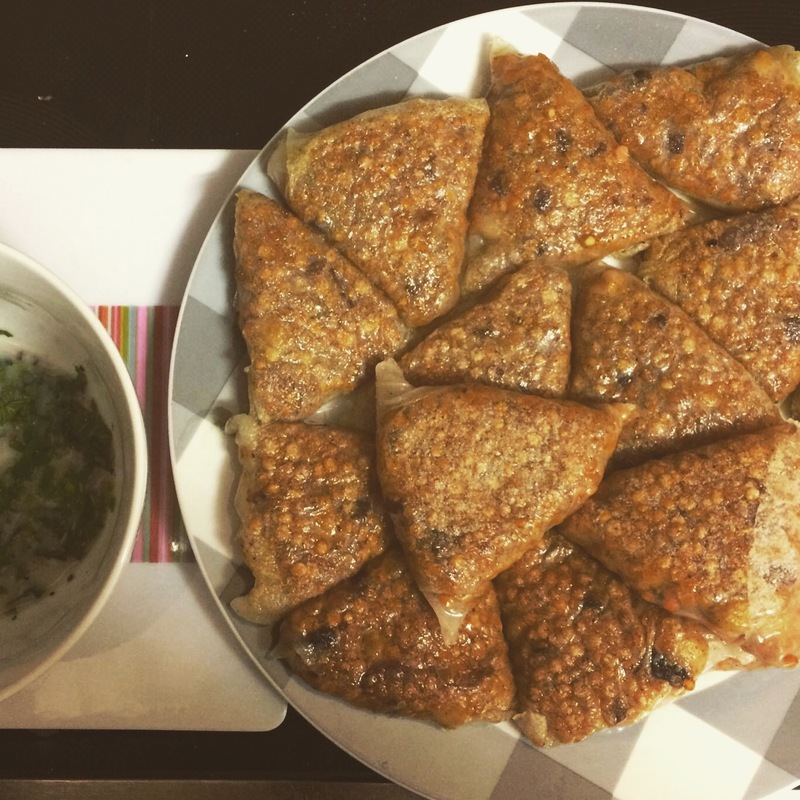 Place samosas in a 200°C oven for 10 minutes. Remove from oven and flip over to crisp on the other side. Bake for another 10 minutes until lightly browned and crisp. (Alternatively you can fry the samosas in oil, but this is a more unhealthy way). The most delicious dip for those samsosas is a Mint Chutney with its fresh flavours. Food processor: garlic, ginger, and chili to finely mince -> add dates, mint leaves, lime juice and olive oil. Blend until smooth and creamy. Add salt to taste. Add more olive oil to thin. Oh wow, another recipe to try out!